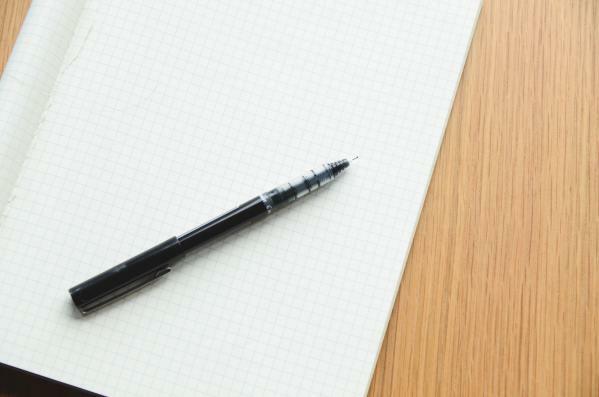 Journal writing may make you kinder, gentler, and more patient. Ok, I don’t have absolute proof of that, but I do believe that journal writing makes us better people. Have you ever had one of those days where the energy just felt weird, communication seemed to go haywire, and everyone was on edge? That kind of day causes stress toxins to rise. Add the terrible traffic in urban areas (shout out to the ATL), the frustrations of waiting in line, and feeling like there aren’t enough hours in the day and one wrong word can cause a meltdown. Journaling may just keep you from blowing up at the barista who put whole milk into your soy latte. Expressing yourself clears negative energy. Human beings tend to feel a lot better when we let out our emotions. Often when we blow up at someone for something minor it’s because we’ve been holding in a ton of stress. Regular journal writing provides a safe space to release emotions that otherwise might get bottled up only to explode at the next unsuspecting service worker. Writing our feelings helps us grow emotionally. When we’re in the middle of difficult emotional situations, we generally don’t stop to think about them. We don’t think about the other people involved and how they might be feeling. We often don’t even understand why we act, or react, as we do. If we can’t slow ourselves down in the moment, it may help to write about the situation after we’ve calmed down. We may be able to see the situation more objectively so we can make better decisions in the future. Reading about our past can help us come to terms with it. Reviewing past journal entries can be enlightening. We can look at the ideas we had in the past and see how much we’ve changed. We can remind ourselves of dreams and ideas that we may have forgotten as we moved through life. We may come to understand who we were, which helps us understand who we are and remember who we aspire to be. Journal writing may seem intimidating at first. It’s easy to imagine that you’ll have nothing to write about, but you’ll probably surprise yourself. You don’t need any fancy equipment although over time you may develop preferences. One of my daughters loves fancy, leather-bound journals. The other likes spiral-bound or composition notebooks. I tend toward online tools. Either way, the key is to sit by yourself and write for a while each day. It doesn’t have to be for a long time, 15-20 minutes is plenty of time. The best way to start a journal writing habit is to write at the same time every day. If you are better able to focus and get a little quiet time in the morning before everyone else in the house wakes up, do it then. If your morning train ride allows, take the few minutes to jot your thoughts. Maybe your lunch break or after dinner works best for you. Just find a few minutes and a quiet spot and start writing. You can start with notes about your day. If you’re into fashion, make notes about what you wore that day and see what that leads to. If you love to cook, start writing about the recipes you like and meals you prepared. The people, events, and emotions will soon flow as well. Grab a notebook or journal or open your favorite writing program and write for 15 minutes. Start with what you ate for breakfast and work your way through the day. Don’t dismiss anything that pops into your mind to write about. This is your personal journal. Anything goes. Keep it up for 21 days. As always, feel free to share your experiences and your writing with me.